This photo I’ve shown on the blog before but when the challenge came it this was the first one to come to mind. Though there was a crowd at the event and people wandering around the wall this man was clearly in solitary thought and perhaps prayer. To see the challenge click here. 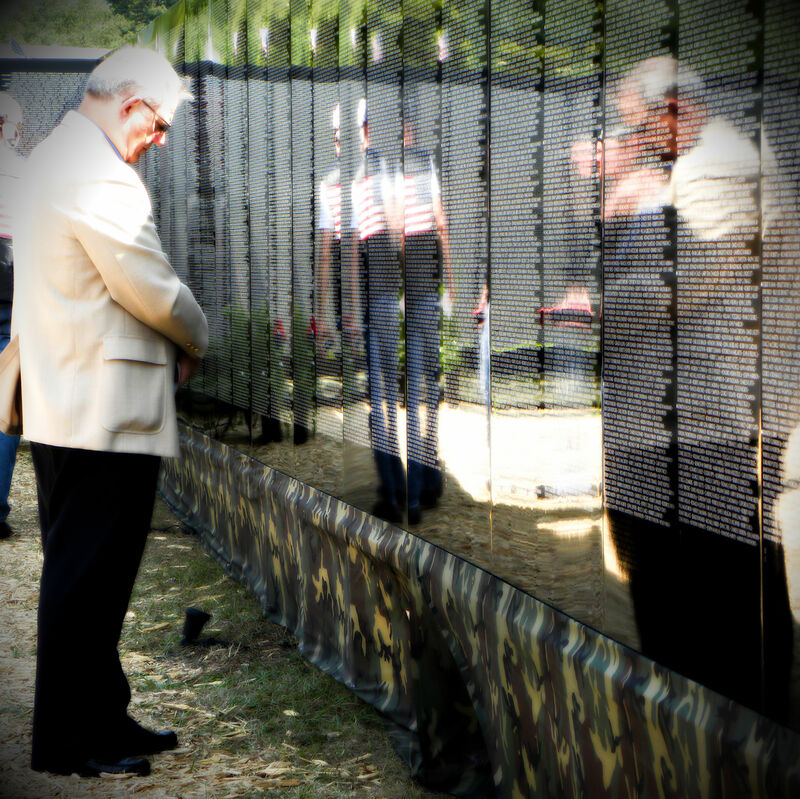 This entry was posted in Challenges, Weekly Photo Challenge and tagged memorial, moving wall for Vietnam, photo, prayer, solitary, tisha clinkenbeard photography, Weekly Photo Challenge. Bookmark the permalink.